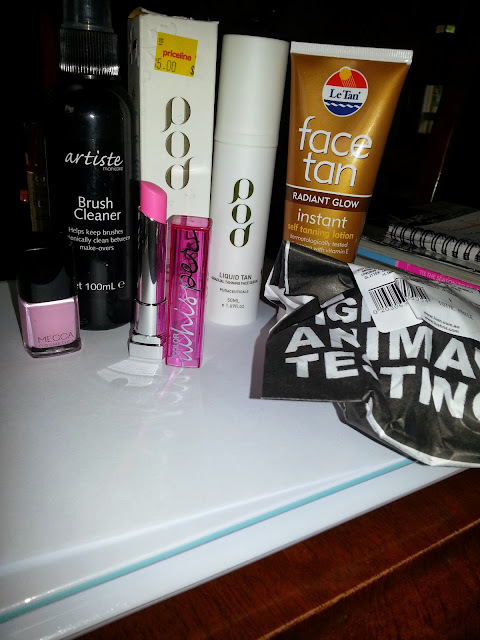 Lust The Beauty: New Products To Try! I've been a bit more adventurous in my spending lately. After sticking to my low-budget, consistent items, I've been adventuring out into different brands and products that I've always wanted to try, but didn't want to waste my money on if I didn't end up liking it. So these are the items I've compiled lately that I'll be trying this month. Artiste Brush Cleaner: I never used to clean my brushes, but now I've invested in some Real Techniques Brushes (they didn't make it into the picture for some reason), I thought it's best to use a proper brush cleaner rather than soap and warm water - though I'll probably still do that once every now and then for a thorough clean. Mecca Nailpolish: This was just a freebie with a Vogue magazine, but it's a lovely pink colour - I think it's called something like vogue blush, but don't quote me on that. Pod Liquid Tan: I've wanted to try a face tanner for a while, so I got this one (on clearance from Priceline - hence the sticker) and the one next to it.. Le Tan Face Tan: Instant face tanner. I've taken the seal off, and it really is a deep brown colour. It's very daunting, but I put a little on my hand and it blended in quite well. It smells a lot better than the Pod one (which smells like an off musky....ummm...market stall smell. I know, worst description ever). Maybelline Color Whisper lipstick in Petal Rose: It looks incredibly bright, but quite sheer. I think it would suit someone who has a naturally pale lip colour. My lips are rosy without anything, so the light pink looks odd over the top. LUSH Space Girl bath ballistic: After trying the Rose Queen bath bomb, and loving the Dragon's Egg one more, I decided to get another Dragon's Egg and one of a different one. It's in the shape of a planet and is a glittery purple. I'm looking forward to using this! Woo, I LOVE getting new things to try, and I think I'll be doing it more often. I've actually just hopped online tonight and bought an eyeshadow/blush palette, a Real Techniques Expert face brush and the Collection 2000 (now just Collection, apparently) lasting perfection concealer. Have you tried any of these products? If you have let me know what you thought! Or link me to your blog review, or a good review you have seen. Thanks guys for reading, and if you have, and you can put up with my looong posts, then I love you so much, because you're obviously super patient haha! 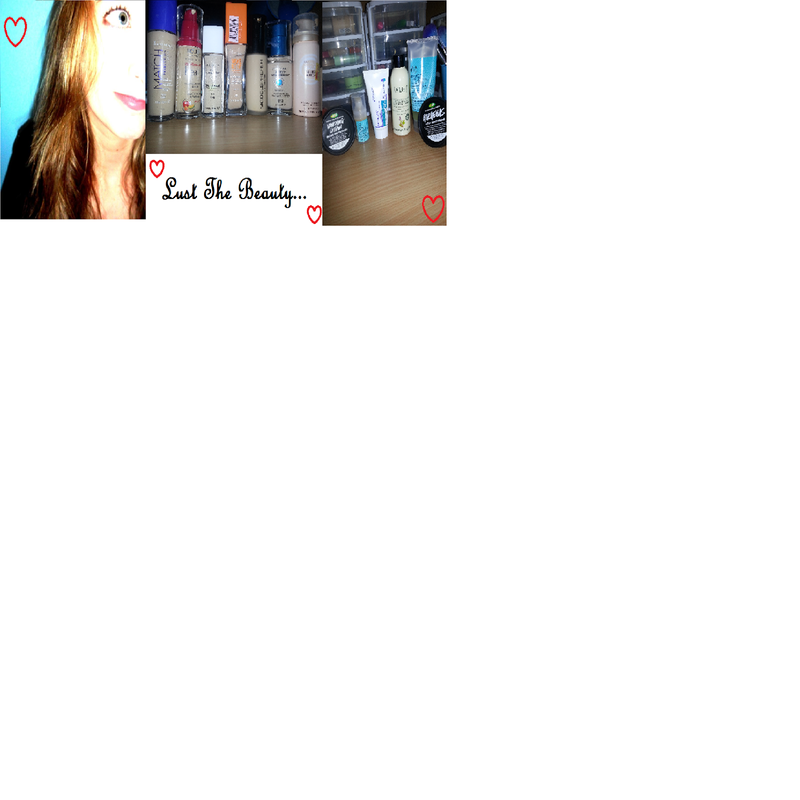 Keep reading, and link me your blogs, because I love beauty blogs more than oxygen! Have you found it ok? I'm not sure what everything is on here yet, but is it just the button that says follow? :s I'm still figuring this site out haha! Max Factor Pan Cake foundation review! Beauty Tag: How Much is Your Face Worth?